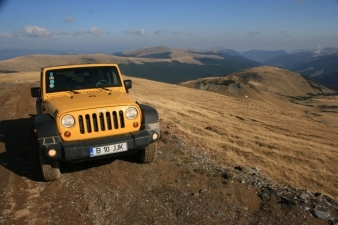 Jeep Club Romania wants you to join us at our first event in 2012. So, if you are an affiliated Jeep Club Member, Jeep Owner, Jeep Enthusiast or Jeep Fan give us a Wave and we will be happy to have you among us at our first Jeep Club Romanian National Event 2012. As you will observe we have chosen a location somewhere in the middle of the country, more specifically in the Outskirts of Sibiu (Marginimea Sibiului). I know that some of you, who know this pictoresque region, already think about the ewe`s milk cheese (telemea) and other such goodies but this time we will try to associate this magnificent land with the idea of Jeep and, why not, with Easter eggs and cake, with home-made tripe and stuffed cabbage, some lard with onion and the welcomed local plum brandy, as well as with many other culinary goodies. The Outskirts of Sibiu (Marginimea in Romanian) is a region where we want your Jeep to be able to reveal its true innate nature of 4X4. Therefore we thank you again for choosing to join us and be welcomed to join us along the trails at another special Jeep Club Romania event. Located in Gura Raului http://www.cheilecibinului.ro/. Where is this? At the mountain feet, towards the springs of Cibin River, after the lake in Gura Raului. 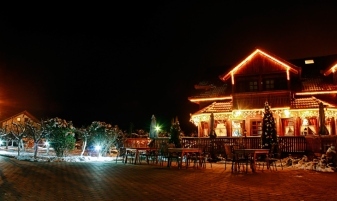 Immediately before Cibin Gorge is this wonderful tourist resort with chalets and little houses of pine wood, with a trout lake and welcoming people. The access to the “Cheile Cibinului” Tourist Resort is made from Sibiu, Cristian and then through Gura Raului, or from Sibiu/Sebes, Alba, Sacel, Orlat through Gura Raului. The access to this complex is on road until the lake from Gura Raului, then following the lake’s contour and then Raul Mare along a forest road open for public circulation. It’s a very good location for a Jeep Club Romania event, like many other beautiful places and less traveled in our country. The hosts promise to spoil us with delicious food based on a menu that we will agree on and that we will enjoy either outside, in a roomy tent specially arranged for us (in case the weather is on our side) or in the rustic restaurant overlooking the Cibin Gorge and the trout lake. The complex benefits from an extremely beautiful location and not only us, but also our Jeeps will feel freely within it. 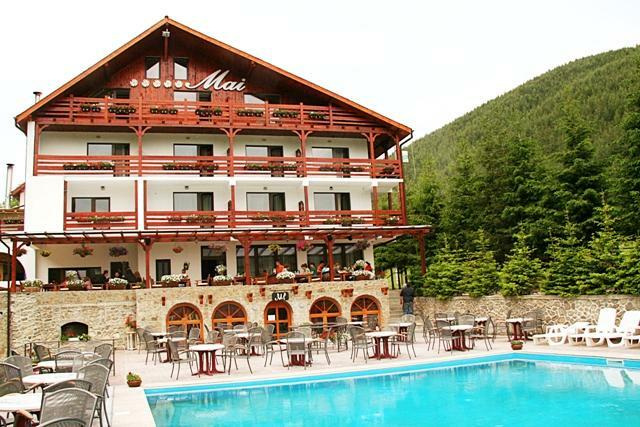 In case the maximum capacity (52 places) of Cheile Cibinului Tourist Resort is reached we do recommend the bellow listed Guest Houses situated close to the chosen base camp, in the order mentioned bellow. The location and the links between the three Accomodation Places choosen can be observed following THIS LINK. It is located about 4km off Rasinari on the left side of the road leading to the mountain resort Paltinis. The website of Mai Guesthouse is: http://www.pensiunea-mai.ro/ . Keep in mind that we will see each other in April and not in May! The Guestbook of this guest house speaks for itself. Dishes and meat products are prepared on site. The hosts are Lupu family, who opened this family business when on Valea Stezii the idea of private tourism was only beginning to take shape. Ever since, “Mai Guest House” has kept on growing and has maintained the quality of services provided. I let you say more about it after having the pleasure to meet at the first Jeep Club Romania meeting this year. The coordinates of this special place are GPS N 45.67985 E 23.93993. The hosts have promised that if the weather is good we would have warm water in the outdoor pool. Who knows, maybe not only the plum brandy but also the weather will be on our side to keep us warm?! As for Rasinari what I can say is that it rhymes on the one side with Octavian Goga, Emil Cioran, Andrei Saguna, Eugen Brote, Ilarie Mitrea, and on the other side with the idea of freedom, of transhumance and, why not, with Sibiu ewe`s milk cheese (telemea) and green cheese, all produced either in the village or in the villagers’ huts spread on the mountains in the immediate vicinity and which we invite you to explore at the wheel of your Jeep. It makes no sense no write more, because it is worth to be lived on spot. and from the new ring road (A1) exit/entrance Selimbar. And another thing: like any place full of history from our country, Cisnadioara is as good as it gets. Meanwhile, you should virtually “haunt” the oldest fortified Romanesque church in Transylvania, which guards the former colony of Saxons in Cinsnadioara, on the top of the hill near Apfelhauss guest house. We wanted that all the above mentioned locations to be close both to the moutain paths & trails that we would cross together, and to the tourist objectives nearby which those interested can visit. Also, the city of Sibiu is only 20 minutes away by car… this only if you choose a more comfortable route, on road. So, on road you can reach the above mentioned guest houses very easily along the maps provided. Nevertheless, we are waiting for your questions on our forum with complete/detailed offers for accommodation and meals including of course trails schedules, etc for all the three guest houses. GPS coordinates of the guest houses, as well as an additional map for access can be found also on our forum at: www.clubjeepromania.ro/forum. The trails will be chosen so that your Jeep, regardless if stock or trail rated or beautiful modded, will be able to meet the challenges on route and that you can benefit from the guidance of our more experienced members (Travel Guides). After the breakfast and before approaching the trails we will make for all the participants a brief presentation of the trail to be crossed, as well as the corresponding schedule. We will make everything possible when we choose the trails to have in mind a natural environment, pictoresque scenaries that we can all enjoy so that our meeting to be not only a purely technical one, but one in which the skill to be gained in an enjoyable framework. Considering that we will still be in a cold season and close the moutains areas (altitudes may climb to 1400 m), please have your Jeep equipped at least with winter tires, in order to avoid any inconvenience in the field, where we may encounter portions of ice and/or snow. We want to discuss with the representatives of Off-Road Club Sibiu and with the Rescue & Rangers Teams (Salvamont Romania) to advise us which would be the most beautiful and interesting trails we could cross together in the mountains sorrounding the Outskirts of Sibiu. As benchmarks, considering the distance from the guest house (Base Camp), we have chosen the following destinations: Rasinari, Paltinis, Gatul Berbecului, Oasa Lake and then Gura Raului, the Barrier Lake, Cibin Gorge, then Orlat, Sibiel, Rod, Saliste, Poiana Sibiului, Jina, Sugag and, why not, Sadu, Valea Sadului and a slight climb towards the Lotru mountains (Prejba). Any of you who knows the area and can tell us what is worth to be done is welcomed on our forum. We have not overlooked the desire of some of us who have proposed that with this event to help (those who want to) the people in need. The donation will preferably consist of basic food and those of you who want to contribute with something else are welcomed to do so. Food and aid distribution for the people in need will be made either directly, either through some of us within the program of the current event or outside it, depending on how we will clarify together on the Jeep Club Romania Forum. 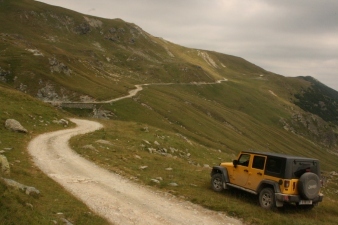 - You will be handed over a welcome package on behalf of Jeep Club Romania. - Surprise offered by Jeep Club Romania and by the Outskirts of Sibiu (Marginimea Sibiului). - Organizing the road to our homes in case you will desire to make our departure in groups, depending on the final destination of each one of us. *) In case we decided to have a humanitarian event, the second trail of the second day will have as destination a locality with poor people who would be glad to be helped as we can. Please fill in only the fields that interest you and which will be applicable if you want to join us at this Jeep Club Romania event. Please respect both the schedule and the house rules mentioned by our host. Thank you and we are waiting for you to join us at this first Jeep Club Romania 2012 event!